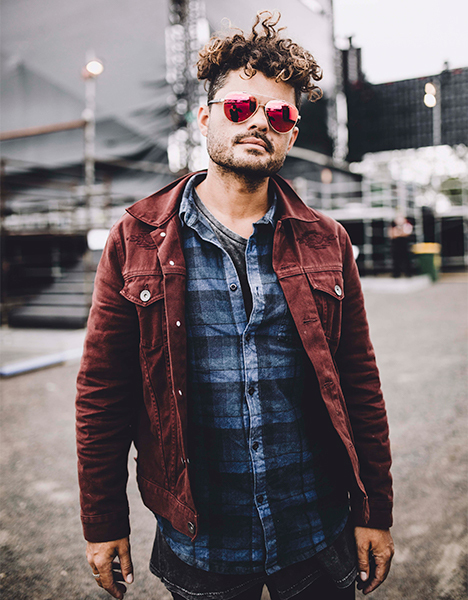 Ash Grunwald has had the most prolific blues career in Australian history. He’s been at the forefront of success in the Australian music scene for more than 12 years, he’s just released his 9th studio album produced by Nick Didia and has been nominated for six ARIA awards and three APRA awards, winning two of the latter. The man’s talents and achievements have gone from strength to strength, innovation to innovation and from country to country! Produced by Nick Didia (Pearl Jam/Springsteen/Rage Against the Machine) from studio 301 in Ash’s home town of Byron Bay, NOW is set to stand as a sonic landmark in Ash Grunwalds career as a respected Australian roots musician. Grunwald delves into a more experimental and modern approach explaining his intention was to create a “modern psychedelic, sci-fi, swamp rock, blues album, if there is such a thing. HA!” Drawing inspiration from collaborators Ian Peres (Wolfmother) on synth, Pete Wilkins (formerly Blue King Brown) and of course Nick Didia, Ash aimed to approach the album with a traditional power trio reminiscent of seminal acts such as Hendrix and Cream.